Deborah H. Johnson discusses growing up as a transracial adoptee and what parents need to know about talking about race and adoption, finding role models for their children, and more. 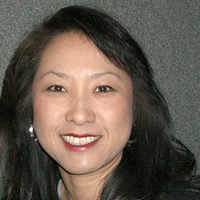 View the "Growing Up as a Transracial Adoptee—What Parents Need to Know" webinar replay now. In this webinar, social worker and adult adoptee Deborah H. Johnson will discuss transracial parenting from a professional and personal perspective. Join us for this presentation and a chance to ask your questions. The Adoptive Families “Growing Up as a Transracial Adoptee: What Parents Need to Know” with Deborah H. Johnson took place on Thursday, May 19, 2016, 1-2pm ET. Deborah H. Johnson is a Minneapolis-based social worker with more than 25 years of experience working with adoptive families and was adopted from South Korea. She is the founder of Kindred Journeys International, a heritage travel company, and a longtime columnist for Adoptive Families magazine. Find her on Facebook at The Fishbowl Experience.